From 10 a.m. until 12:30 p.m.
Spice up your writing with prompts and techniques to add variety and pop to your words. 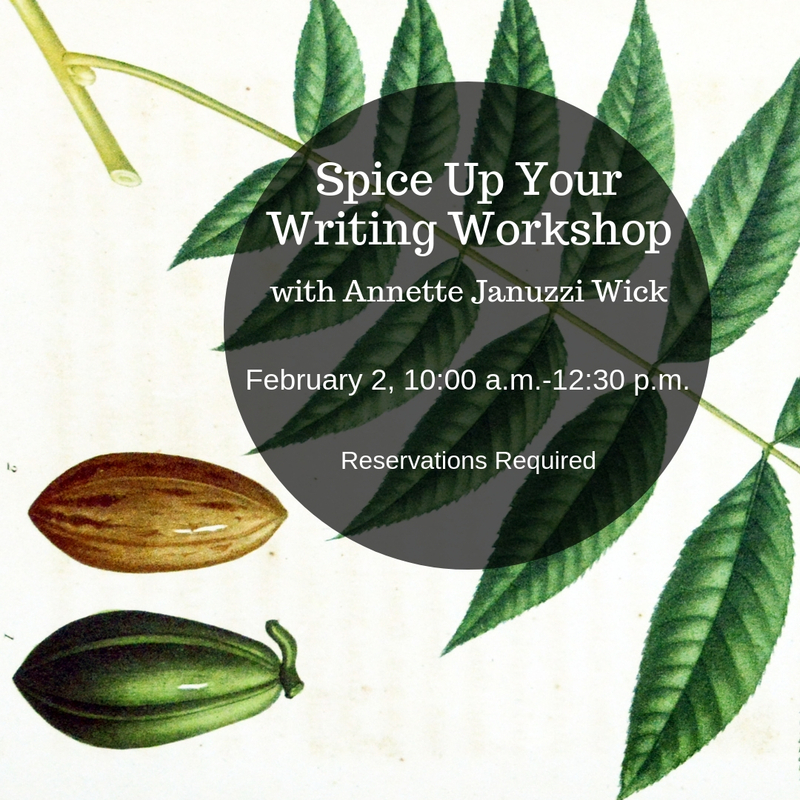 During this workshop, presented by Annette Januzzi Wick participants will be given access to rare works, including illustrations and historical accounts dating back to the 1600s featured in the exhibition Ingredients that Warm the Season. Co-sponsored by Women Writing for (a) Change. Reservations required Tuition: $35; limit 15. www.womenwriting.org or call (513)272-1171.